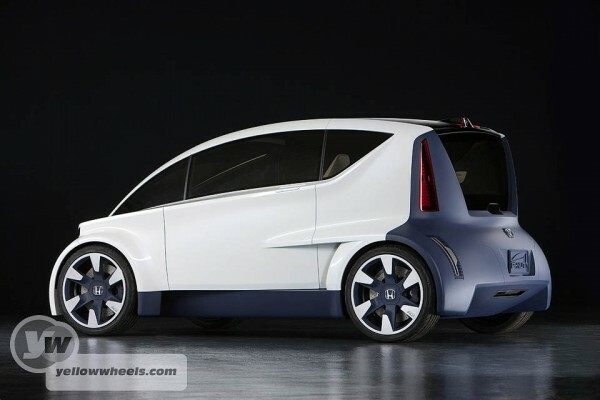 Honda P-NUT Concept car: This is just a styling concept but grabbed our attention because of it’s original shape and city car potential. Strong, purist shapes that make it through to production are rare, and most get watered down through the engineering, marketing and ergonomics depts. Cars that make it through are often the ones that turn heads or become icons. Think of the original Audi TT, second generation VW Beetle, Bentley Continental, even the Vauxhall/Opel Calibra as a few examples plucked out of the ether. So we hope Honda push this through as it is a compelling, exciting shape. 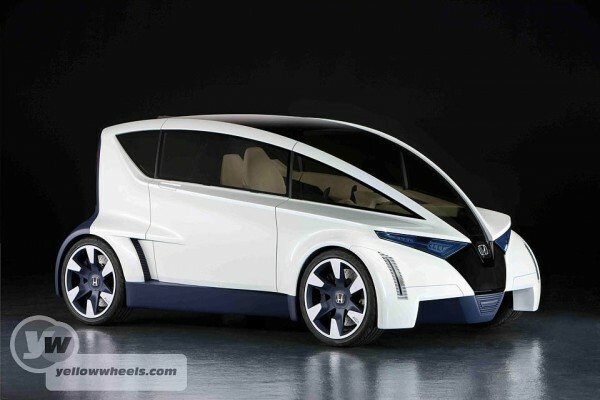 Honda unveiled the Personal-Neo Urban Transport (P-NUT) design study model at LA Auto Show 2009 today, demonstrating a futuristic concept for an ultra-compact and stylish city coupe. P-NUT’s packaging concept includes a central driving position, rear powertrain layout and clever interior space-saving solutions. The P-NUT’s exterior styling uses crisp angles with dynamic flowing lines that span outward toward the rear of the car, creating a sleek yet planted and aggressive look that also allows for a spacious and open interior with excellent visibility. The exterior styling intends to be premium and sophisticated while balancing the need for maximum interior space and an aerodynamic appearance. 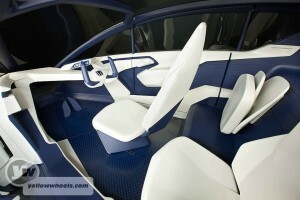 The interior layout, in conjunction with the rear powertrain design, contributes to the car’s overall exterior shape. Inside, with its centre driving position flanked by two rear seats, the P-NUT provides generous legroom for all occupants, roughly the equivalent of a mid-sized saloon but in a vehicle with the exterior footprint similar to a micro car. In addition there are clever interior solutions such as rear seating areas that fold up and out of the way to increase storage capacity. The windshield serves as a head-up display for the navigation system and the reversing camera. The modular rear engine bay is designed to accommodate a wide variety of potential powertrain technologies including a conventional small internal combustion engine, a hybrid system, or a battery-electric drivetrain. The P-NUT design study model has been developed by The Advanced Design Studio of Honda R&D Americas, Inc. in Los Angeles. There are currently no plans for production.